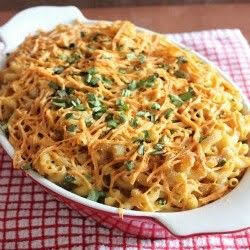 Are you ready to see who makes the best of the best Vegan Mac ’n’ Cheese in Tampa Bay? Then come to the Vegan Mac ’n’ Cheese Cook-Off at Tampa Bay Veg Fest on Saturday, November 3, 2018! Although we’re no longer accepting contestant applications, you can still participate—as a judge! Ten local cooks will compete for the title of Best Vegan Mac ’n’ Cheese of the 9th Annual Tampa Bay Veg Fest. A panel of judges composed of some of our amazing speakers will select the winner, and there will also be a community vote for a People’s Choice winner—which is where you come in. From the opening of Veg Fest (10 a.m.) until the beginning of the competition (10:30), tasting tickets will be available at just $5 for 4 tastings or $10 for 10 tastings. They can be purchased at the cook-off booth, which will be adjacent to the Musicians Tent. After sampling the offerings, you can cast your vote for the People’s Choice Award! Or just be a spectator—all are welcome. 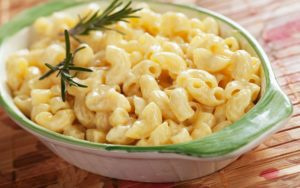 We can’t wait to try all that amazing Vegan Mac ’n’ Cheese. How about you? All cooks, judges and assistants must agree to the following rules, as applicable. All ingredients must be completely plant-based—no nonvegan ingredients will be allowed. All ingredients must be precooked prior to the event; Mac ’n’ Cheese is to be brought “ready to eat.” Commercial Mac ’n’ Cheese will not be accepted. Each contestant must cook 4 pounds of competition Mac ’n’ Cheese, and prepare their contest entry in a shallow aluminum chafing pan. Contestants are permitted to submit only one pan for judging. Mac ’n’ Cheese is to be warmed to 150 degrees upon arrival at the competition site. Utensils and cups for tasting will be provided by Veg Fest. Each contestant will be assigned a number for judging purposes. The decision of the judges is final. The People’s Choice winner will be chosen via the final tally of tasting votes. Each contestant is responsible for removing all items they brought related to their entry in the contest. No items will be retained after the close of the contest. Entry proceeds will be donated to the Tampa Bay Veg Fest Fund. Join us for a day of delicious local food, activities, vendors, speakers (including Captain Paul Watson of the Sea Shepherd), fun for the kids, and more. Veg Fest is free to the community, and we expect 7,000 to 8,000 attendees.